If there’s one video game genre that can be difficult to explain in a nutshell, it’s action-adventure (AA). This genre is broad and often combines elements of other games, making it arguably the most diverse genre. Two games that feel completely different can both fall into the action-adventure category, as you’ll see from our examples. Two common traits of games in this hybrid genre are: a) the problem-solving nature of adventure games and b) reflex-testing gameplay of action titles. The following are elements that make our favorite AA titles so compelling. Every designer knows that gameplay, not graphics or story, is the heart of AA games. Since these kinds of games tend to last many hours, you’ll want to keep players hooked from start to finish by giving them diverse ways to interact with the world. Introducing new play mechanics, weapons, and abilities that build upon those you have introduced previously will keep your players curious and entertained. Enemies have always been one of the most important elements of a game, especially in action-adventure. We’ve all played a game that became dull simply because it kept tossing the same bad guys our way. If you’re making a game where players will find themselves facing some form of enemies often, there needs to be variety so things don’t get dull. One game that did a good job of this is Middle Earth: Shadow of Mordor. While we admit that most of the regular Uruks can be killed in the same way, it’s the leaders that stand out. Bosses like the Warchiefs have their own strengths and weaknesses that you can learn by interrogating other Uruk leaders. This means that you are forced to approach them in different ways depending on if they’re vulnerable to fire, fear wild creatures, flee when weak, etc. There are acclaimed AA games that don’t emphasize characters or deliver a captivating story. However, the best AA titles charmed us every step of the way because we cared about the main character and their goals. The heart of story is conflict – specifically characters enaging in conflict—e.g Man versus Nature, Man versus Man, Man versus Society. Allow your player to control a character—or characters—who must overcome obstacles. String those obstacles together sequentially and with increasing difficulty to generate a compelling story. These are fundamentals that will keep your player engaged to the end. In addition to a providing a great world and solid gameplay, Red Dead Redemption delivers an excellent story. The more you explore the Wild West and its colorful cast of characters, the more you grow attached to John Marston and his desire to put the past behind him. The jaw-dropping ending in this game is a huge plus as well (no spoilers here). Good AA titles commonly allow players to explore different areas as part of adventure. Nobody wants to run around the sameforest for countless hours—eventually we’d like to see caves, towns, mountains, etc. Great action-adventure games also make sure that those different places deliver something valuable – both to continuing the story and providing utility to the player. This of course means that the level design also had to be on point. 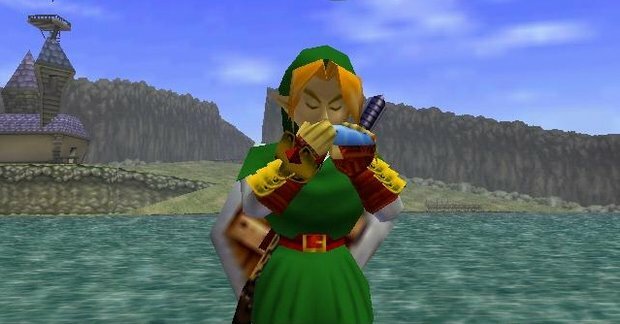 A great example of this is Ocarina of Time—a game that needs no introduction. From deserts and lakes to icy caverns and forests, you see a good amount of environments in Link’s first 3D adventure. Ocarina of Time’s world is compelling because all the areas feel like they’re truly connected and are part of the same place. The fact that you unlock new objects as you explore and that those objects provide you with new capabilities make for a true classic in game design. Telling a story linearly is not necessarily a bad thing. In fact, there’s alibrary of good action-adventure titles that give players a single path to follow and are still extremely compelling. That said, games that also provide a variety of side-quests and objectives can make for an even more engaging structure. The Grand Theft Auto series delivers on this premise—e.g. the player can follow the main story and can also go on a great variety of side quests and activities. Likewise, 2015’s MGS V: The Phantom Pain is a good example to check out. Kojima’s latest entry in the series received praise from fans and critics alike for offering missions that can be approached in a variety of ways. Allowing your players to solve problems in a variety of ways will satisfy your players’ natural desire for autonomy and further connect them to your game and characters.